Not interested any more? Unsubscribe. Having trouble viewing this email? View it in your browser . Back in June, we announced that Family Historian is sponsoring an Australian cruise, sailing in February 2014. That will be the 4th cruise organised by Unlock the Past. 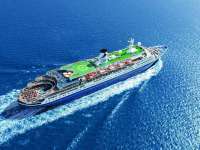 The next one, their 5th cruise, will sail on 19 July 2014 from London for eight ports in Scotland, Ireland, Guernsey and France - aboard the Marco Polo, a classic ocean liner. And we're sponsoring this cruise too. Cruising is definitely a popular holiday experience. A history and genealogy cruise will allow you to participate in everyday ship activities, go ashore at ports of call as well as enjoy the presentations and advice of researchers in a variety of history and genealogy fields. The 5th cruise will have a great lineup of speakers to further your knowledge of both history and genealogy. For Family Historian users it will be a great chance to hear Jackie Depelle, a Family Historian specialist. Apart from her formal presentations Jackie will also be available for one on one or small group sessions at the Research Help Zone. Other key presenters include Paul Blake (England), Jayne Shrimpton (England), Marie Dougan (Scotland), and Lisa Louise Cooke (USA). Four Australians will also be presenting to allow you to follow up on those ancestors who moved "down under". There will be about 40 presentations - sometimes in two streams to allow a wider choice for researchers. A dedicated website gives full information on all aspects of the cruise - book soon to ensure a good choice of cabins. Exclusive offer to Family History Bulletins subscribers: quote code FHB-JUL2014 to receive a £30 discount on the cruise fare. Unlock the Past cruises was founded by Alan Phillips of Gould Genealogy & History, Australia's leading retail and webstore for family history products. 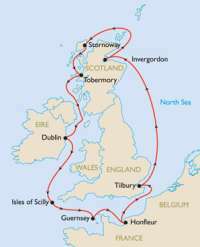 Unlock the Past has already organised three very successful genealogy cruises. In addition to the two cruises, mentioned above, in 2014, more cruises are in the pipeline for 2015. Our association with Alan and Gould Genealogy goes back over 10 years, so we are delighted to be a partner for their 4th and 5th cruises. Family Historian makes a great Christmas present. If you want to share discoveries with other family members, what could be better than giving them their own copy of Family Historian, to browse and explore the family tree. To make the software even easier to give, we will shortly be introducing printable gift certificates, in packs of 1 to 5, for the download version. Better still, the per-unit cost of the software will get lower as the pack sizes increase, so the bigger the pack, the more you save. The new gift certificates should be ready in 2-3 weeks - in plenty of time for Christmas. We'll send out another bulletin later in November when they're available.